Well, it’s been a while hasn’t it, website? 2019, the year this page finally sees an update. Only after, what? 3 years or so? So what’s new? Who cares – there’s more important things to be talking about. Firstly, this site will soon instead be fronted by a static page linking to all the sites hosted on the TigerTails Entertainment Network. All the social medias and things will also be linked to, because that’s useful. Secondly, there will be an effort made to try to get the sites up to date. Hence why this post is existing before the static page thing happens. TigerTails Radio always needs updating, TigerTails Gaming needs some content, and newcomer PupAllTheStations is an ever growing behemoth. All the station blog posts are done, and now it’s just the rest of the social media submissions that need adding. Thirdly, and this might be obvious by now, the Done and Dusted blog has officially been retired. It’s been hard enough getting together bits for Done and Dusted during TigerTails Radio, and there wasn’t enough content for a blog about it. On the off-chance there’s another post, it’ll be on the TTR site. And that’s about it. The only time the front page will be update will be with important news – which should be rare. This post will be left here for a little while for folk to stumble upon, before the static page goes live. Until then, Happy New Year everyone. Now that TigerTails Radio has finished for Season 10, things can be worked on to fix some of the technical issues that has hit the website here, and elsewhere. Website updates will be sketchy at best during this time, as visitors to this page will have come to expect. However, things are in the plans to be done in 2018. Exciting times ahead. Yey, technical difficulties are so much fun. Especially when they’re the fault of someone else. 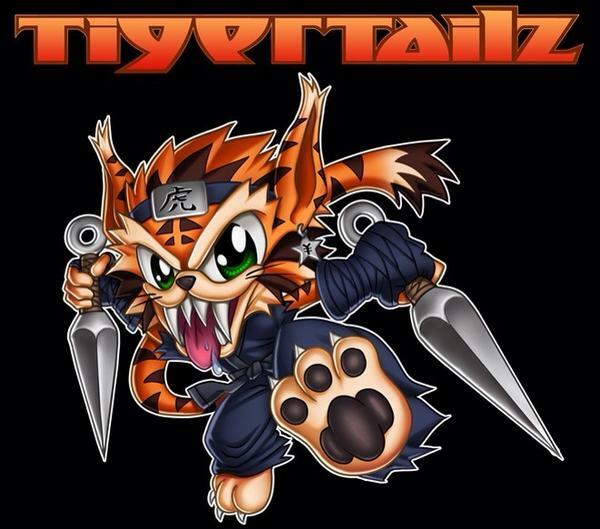 Having recently renewed the domains for TigerTails Radio and TigerTails Gaming, we’ve fallen foul of a problem our domain provider is having with URL forwarding, which hides the ugly tigertails.co.uk/whatever/ name and gives it the pretty tigertailsradio.co.uk or tigertailsgaming.co.uk that we’re all used to. While the main .co.uk addresses might be down, the websites are not. Yet. Oh, and if anyone is thinking about getting anything with Plusnet… Don’t. All sites are back up and running as per normal. Whooo! Use the links on the right to go visit them. When a locomotive as famous as the Flying Scotsman comes to pay a visit in the local area, it would be rude to not brave the rain and come out and see it. This was certainly the attitude of what seemed to be the entire population of Romsey as hundreds of people turned out on the small station’s platforms to see The Cathedrals Express run through on the Hampshire Cream Teas special during the afternoon of a trip from Paddington to Salisbury. The trip was basically a turning exercise, as Scotsman ran the Romsey, Southampton, Eastleigh loop before heading back to Salisbury to return back to London later in the afternoon. This meant if you found a spot between Salisbury and Romsey you could see the train twice, so that’s exactly what happened. Following catching the train take an unscheduled stop in Romsey, we hi-tailed it to Mottisfont & Dunbridge station to catch the return leg. Annoyingly, the train was 12 minutes early so the second recording was a little impromptu but at least the train wasn’t missed. Looking For The Band TigerTailz?